Mercy is not a right. Mercy is a gift from one to another. It can’t be earned. (p 368). Sometimes, a book is just perfect. I don’t mean in the “it’s a classic for the ages and every generation should read and analyze it,” but in the “this speaks to my soul” sort of way. Sanctum is one of those books. I came across the first chapter by chance on Amazon and decided to get it since it was on sale, and then the rest of the novel ended up being off-the-rails awesome. Fine wove her story around redemption and friendship, depression, suicide, hell, history – all without losing her sense of humor (not an easy task considering some of the subject matter she took on). The book broke my heart a couple of times too, and when I was done with it, I couldn’t stop thinking about the people I know who struggle with debilitating mental health issues. Novels that tackle the idea of teen suicide with such frank honesty gut me, and this one, despite being a fantasy novel instead of straight fiction, was right on point. It was a book about healing, about using newfound strength to protect and to offer mercy, and about what it looks like not to be able to find that strength. No judgement there either, but rather an acceptance that healing is complicated, and messy, and sometimes incomplete. It’s a painful and difficult idea for us to accept, and it’s rare for an author to capture the experience of living through it – from both the perspective of the person who feels hopeless and of the one who feels helpless – so well. Fine also created a fantastical world that was horrifying while containing a kernel of truth that was inescapable. Her underworld felt like such a true place – a horrible, soul-sucking, and brilliant setting for this novel – that I’m almost disappointed that we might not get to see as much of it in the next book. That being said, she nailed the pacing and wrap-up of this first book in her series, and I can’t wait to read the next one. For more about Sarah Fine, go here. About a month after my husband and I started dating, he gave me, half-jokingly, a copy of The Geek Handbook: User Guide and Documentation for the Geek in Your Life, by Mikki Halpin. I read the whole thing that night, and the next day, I assured him I was surprisingly well-suited for geek care. Many of my closest friends are geeks from all over the spectrum (coding, gaming, fanning, etc), and I had plenty of experience with what those relationships can require. A few months later, I was able to return the favor when his sister recommended The Introvert Advantage. If his Handbook was meant to prepare me for what loving a software engineer and life long tinkerer would entail, this book was what he needed to fully understand an introvert who came from a family of introverts! Of course, he’s one too, so you’d think neither of us would require such a guide for proper tending . You’d be wrong. After I read it for the first time, he and I talked a lot about the basic premise of the book (that introverts become re-energized by spending time alone, or in reflection, or by stepping back). On some level, I think I had always known this to be true, but since we had this conversation I have come back to think on it many times. Six years later, I’ve recommended this book to so many people, I’ve lost count. I’ve reread it myself three times, and I still can’t get over how much of a difference it’s made to me. I recently pulled the book out again after talking to one of my best friends about a new relationship in her life. I’m one of those introverts who’s drawn to the energy and charisma of extroverts, and this friend is a shining example of that. She is a dynamic, energetic, brilliant woman who can easily function on five hours a sleep a night. She isn’t phased by the idea of having twelve weekends in a row booked by travel, weddings, and lunch dates; in fact, when Hurricane Sandy hit New York and she was forced to stay home for a few days, she longed to be back at the office, jumping in on meetings and taking clients out for drinks. I’ll be honest – just thinking about her life makes me tired – yet we’ve been best friends for over twenty years. Although she lives three thousand miles away, we talk several times a week, and recently, our conversations have come around to the idea of stress on the relationships between extroverts and introverts. This is one of those ideas that seems obvious on paper, but in reality, people constantly struggle to communicate a unique view of the world to others and get incredibly frustrated when they’re misunderstood. Although that particular passage comes from a chapter on romantic relationships, for me, the idea is a guide for all of my relationships. For example, I come from a rather unusual situation – I grew up in a family of introverts. Maybe it should have been obvious to the four us before I read this book, but it wasn’t. I had always thought introverted equaled shy and quiet, and that didn’t really fit. When I realized what introversion truly was, my entire life made so much more sense! My family’s temperaments are especially tied to the odd way we approach activities like vacations or parties or visiting friends. On the one hand, we want to do it all because we’re curious, friendly people; on the other, we often are irritable about those same things because we subconsciously anticipate the enormous energy drain we’ll have from participating. In one section of the book where Laney discusses working with introverted children, she mentions that being in a car can be stressful, and to counteract the overwhelming feeling of being physically close to others, a child could use headphones, a book, or a physical barrier (like pillows) to offer some level of protection from the stimulation. Growing up, my brother and I each had a Walkman to listen to whenever we got in the car. My father called it “plugging in,” but in actuality, I think we were unplugging. I even remember that my favorite vehicle as a child was our Colt Vista Wagon, which had two rows of back seats; my brother would sit in the first row and I would sit on the opposite side in the far back – this gave both of us physical and mental space that I realize now was crucial. Even as an adult, I require a lot of personal space. I prefer to stand on subways and to put as many seats as possible between me and other moviegoers in a theatre. It’s not that I can’t be close to other people; I just prefer to have a little separation. Friends often tease me about how I don’t like to give hugs ( I really don’t) or squish in with them on the couch, and it used to bother me. Now, I just shrug and agree. It’s part of my deal, and I don’t have to be ashamed of it. I fully believe that the world would grind to a halt without its extroverts. (Fortunately, about seventy-five percent of the population identify as extroverts, so there’s little fear of a shortage.) Without my best friend, I’m pretty sure my wedding never could have happened – not to mention school dances I wouldn’t have attended, people I never would have met, and midnight adventures that would have gone un…ventured! After basically imprinting this book on my soul, I’m comfortable enough to know what it takes to be the happiest, healthiest introvert I can be. It’s made me love and appreciate extroverts like her so much more (not to mention allowing me to help beloved introverts get some much-needed peace and quiet!). It’s rare to find a book that can so completely redefine a person, but for me, The Introvert Advantage is absolutely it. For more about Marti Olsen Laney, go here. For the last ten months, I’ve been co-authoring a novel with nine other writers (seven from the UK, one from Brazil, and one from Washington, DC). The project is called Ten to One, and it has been an amazing experience to write a novel with this talented crew. The premise of the project is that, as a group, we produce ten chapters, each of us writing a section of each from the perspective of a single character. The catch is that after every chapter is written, we post the sections on Facebook, and the audience (and a panel of judges) vote. The character with the fewest votes (combined with the lowest judges score) is eliminated after each round (hence the name Ten to One!). My character, Nell, is a young widow trying to escape her past who has recently moved to Skegness (a small, dingy seaside town in England) from Virginia to live with her aunt and waitress at a chip shop. 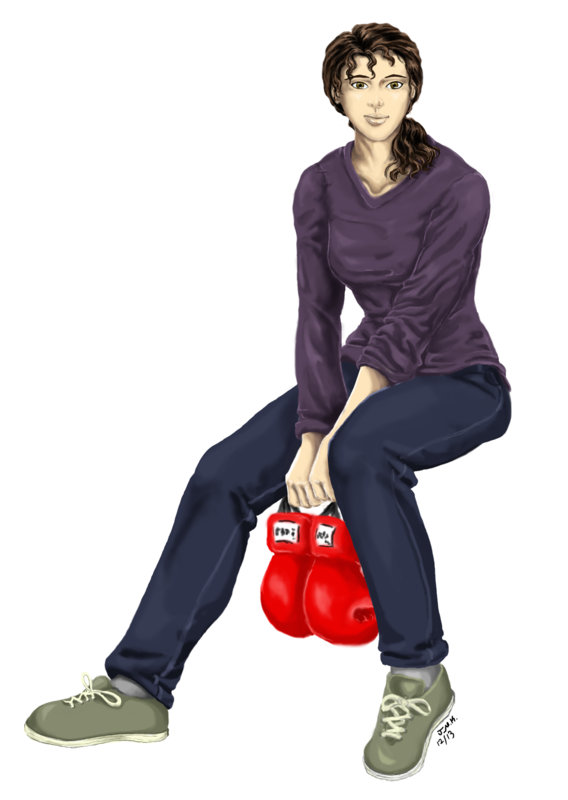 She’s an amateur boxer and a former EMT who has gotten mixed up with murder and mayhem through the thugs running her gym (and an illegal fight club), and while her situation is getting messier, the lives of those around her, including her only real friends in town – a sword swallower and a dangerous mafia wannabe – are falling apart. Unfortunately, the chapters are extremely difficult to read on Facebook (the spacing is all off and it’s not collated with the other writers’ sections, so if you’re interested in a better reading experience, check out the archives here. If, however, you would simply like to vote for me (and Nell), all you have to do is go HERE (or I might be reduced to truly humiliating levels of begging. Scroll to the bottom of the post and click LIKE to cast your vote. Don’t be fooled by the LIKE button on the top of the post – it’s connected to the Ten to One page instead of my specific post (I have no idea why – Facebook is a mystery to me). Now, I know what you’re thinking. You’re thinking your vote doesn’t matter, or that others will vote so you don’t need to. Not true! There are over 11,000 of you hanging out at Books j’adore, and last round, I think I had 92 votes. The guy in first place had 164. Take a minute to ponder the arithmetic there, and then go vote. I promise it only take twenty seconds and would mean the world to me! Besides, how can you say no to this face? For me, the new year almost always comes in with a whimper and not a bang. Over the years, I’ve had frostbitten feet, legendary colds, emergency room visits, friendships fall apart, and of course, the requisite hangovers from nights (and years) I just needed to forget. The holidays that weren’t terrible have mostly been dull, with the exception of a few years, like this one, that were simple – board games, good people, and more food than we could possibly eat. I cherish a New Year’s Eve that allows for quiet conversations and reflection about the past year, and on Tuesday night, I got both. It capped off a remarkably good holiday season, and after taking time to think about the last 365 days, what was probably one of my best years ever. Judging from the posts and articles I’ve seen across the web in the last week, I feel like I’m sort of on my own in thinking that 2013 was a year for the record books. Aside from the friends I have who are perpetually thankful for their health and families (don’t we all know and love people who are just so earnestly delighted by the world that even a terrible year has a silver lining for them? ), I’ve seen a lot of “thank goodness for a fresh start” messages. While I’m grateful that a year that began with a nasty case of the flu and the passing of my grandmother has resolved itself so wonderfully, I just want to say, to those of you desperately looking ahead, I feel you – I’ve been there, and I know exactly how needed January can be some years. I very much hope that, regardless of what 2013 has held, this next year will have exceptional highs for each of us. One of the most amazing things about reading is that sometimes it’s possible to find just the right book at just the right time totally by chance. 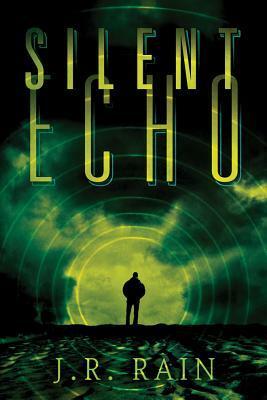 Silent Echo was a free novel I picked in November as an Amazon Prime kindle member (excellent perk, by the way). I’d never heard of the author, and all I had to go on was a blurb by the editor. It turned out to be a fabulous book to end my year on. Rain’s protagonist, Jimmy, is a private eye living on borrowed time. He’s dying from an incurable AIDs-related cancer and has given up working until he’s approached by a high school friend with a case. It turns out to be one he can’t refuse, tied as it is to the unsolved murder of his younger brother. This case catapults Jimmy out of his near-death ennui into an incredible journey that’s part thriller and part examination of the bittersweet relationships that evolve at the end of life. Jimmy is in no way a faultless narrator, but Rain weaves a compelling story right from the start, and by Christmas Eve when I finished the book, I was weeping satisfied tears. Silent Echo takes its genre to a better place. This murder mystery gave me pause during a season of reflection. Jimmy’s physical struggles and psychological scars made me appreciate the pleasures I often take for granted. Look how I can get off the bed and walk! I can use the bathroom without help, and when I want to see a friend, I don’t have to wonder if they’ll shy away from my touch. I can chew and go to the beach and drive my car. I can do a thousand things every day, and while they seem like nothing to me – washing my hair, buying a cup of coffee, having a conversation – they are, in fact, precious. I don’t think I can be reminded of that too much, especially during this dark winter month when I need to regroup for the year ahead. I doubt I could appreciate more a novel that manages to tell a great story and nudge me to take stock at the same time. New year. New chapter. Time to take advantage of what we can do – or at the very least, read a great book. For more about JR Rain, head over here.